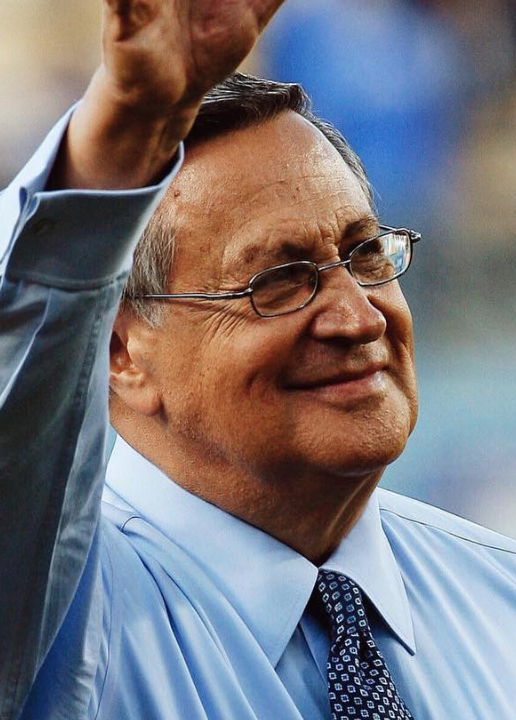 LOS ANGELES—Dodgers broadcaster Jaime Jarrin was inducted into the Ring of Honor on Friday, September 21. Jarrin is 82 years old, and the 12th person to be inducted into the Ring of Honor. Jarrin has been a Spanish speaking commentator since 1959 becoming a large figure for the Spanish audience. He commentated alongside Vin Scully, who also is in the Ring of Honor. Jarrin will be commentating through 2020. In addition to being in the Ring of Honor, he won the Ford C. Frick Award in 1998. “On behalf of the Dodgers and Dodger fans, it’s my honor to congratulate Jaime on reaching this milestone and thank him for serving as a great representative of our team and the game of baseball for 60 years,” said Dodgers President and CEO Stan Kasten. “To me, this honor is equal to being inducted into the Hall of Fame, and I’m humbled to be up there with Vin Scully and all the other Dodger greats. It’s going to be a special night,” said Jarrin.